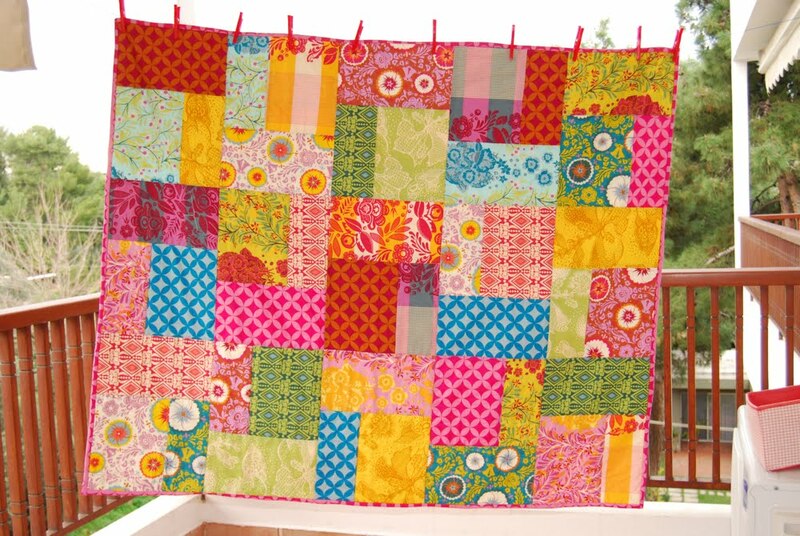 I used a similar technique to construct the quilt as I did on my Pop Garden Quilt, only smaller so it would be crib-sized. I’m really loving this pattern because it leaves the fabric relatively un-cut and you can appreciate each of the prints. As Susan said yesterday, it’s really all about showcasing some really really Good Folks. I backed the quilt in the same fabric, Small Gathering, that Susan used to back the bumper. It changes every day, but I think I can say that this is my favorite print in the line. Wait, no, Festival. Ok, no, Small Gathering. To quilt, I just stitched (mostly) in the ditch. 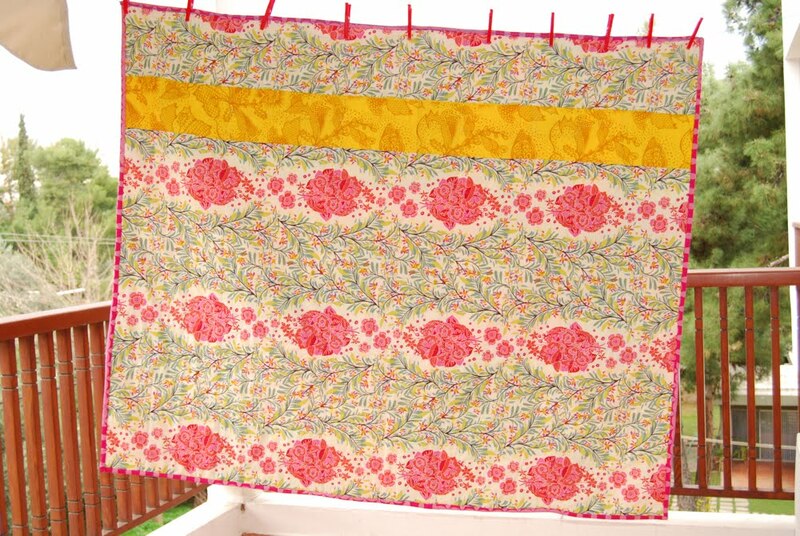 Can we agree that this is one of the harder quilting techniques? Next time I’m literally stepping outside the box and going for random wavy lines. That way you can’t mess up. 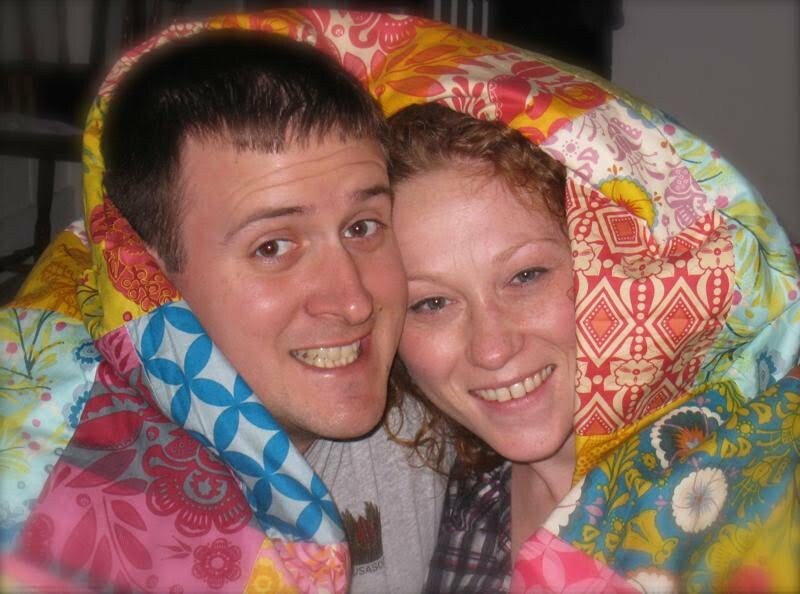 This quilt is just a big pile of sunshine and happiness to me. I had a really hard time parting with it, but I was so happy that it was going to such good folks and their precious little girl. 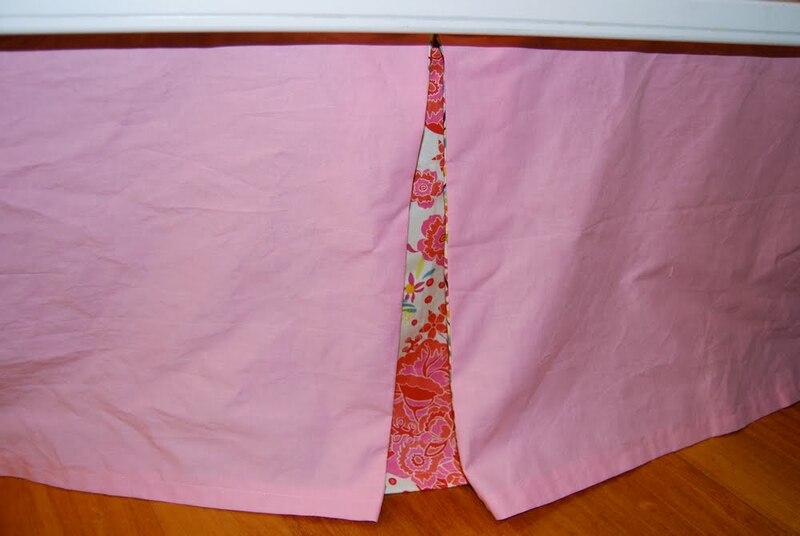 I also made them a simple bedskirt. Just flat on all sides with pleats of more Small Gathering on the long edges. You’ll just have to use your imagination and pretend it was ironed. THat is so sweet! Love the fabric! 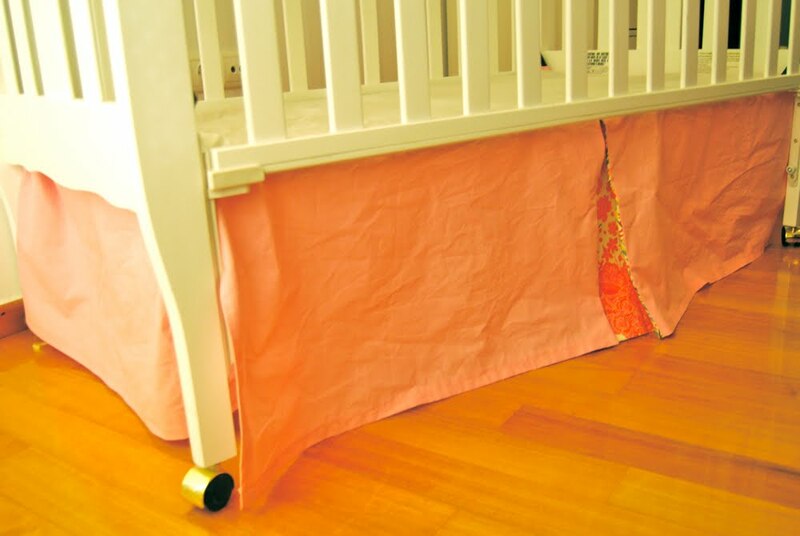 Love the peek a boo in the crib skirt! Gorgeous quilt! 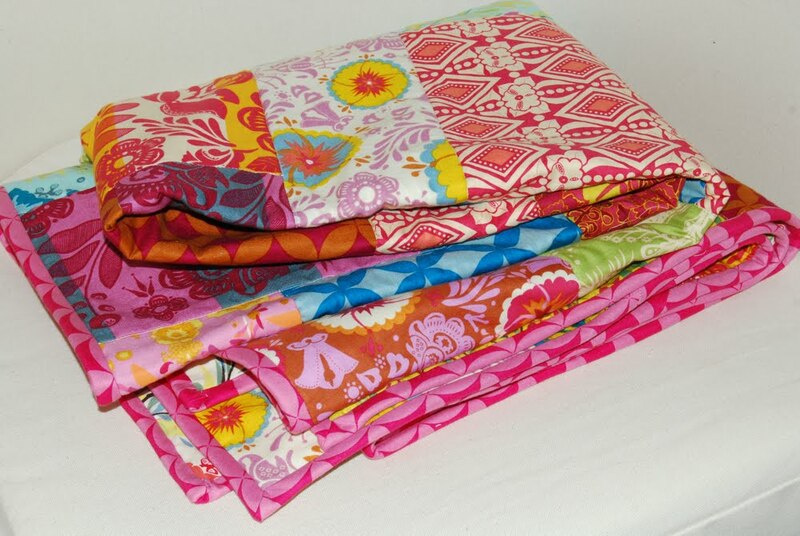 I love those fabrics! 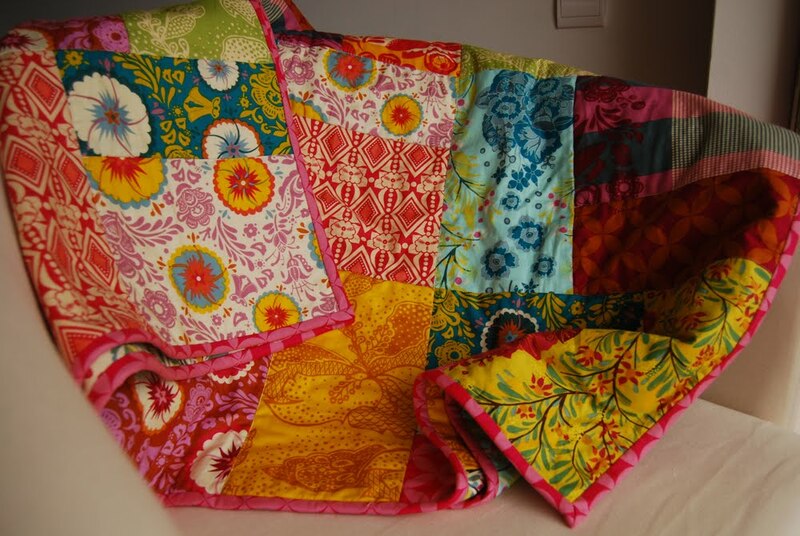 Gorgeous quilt, lovely fabric and in the ditch – ditch it!! Too hard! I love this! Everything about it! So, happy & fun! How big are the fabric blocks? I want to make a similar one for my daughter! Thanks a bunch!